Have you noticed headlines recently like this one? From CBS News: Record-Breaking Heat and Fire are Worsened by Climate Change, Scientists Say. Some major media outlets are beginning to link climate change to the reports of severe weather events this summer. Is it possible that this summer’s high number and intensity of heat waves, wildfires in the west, and record rains and flooding in the east have finally convinced people that the effects of global warming are happening today? 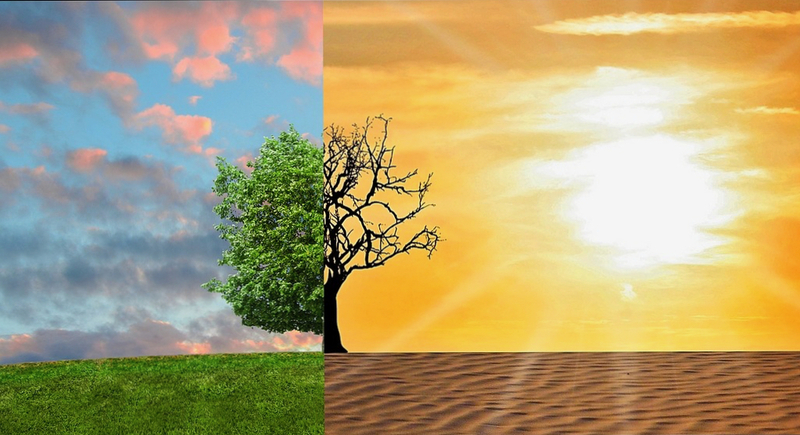 Some of us had thought we had until 2100 or at least until 2050 before climate change would be upon us, but the headlines from around the world this summer tell a different story. Global warming is already here. Recent analyses of media reports of extreme weather events have concluded that, in spite of some progress, there is still a hesitancy to link weather to climate: “Among the 127 segments run on the country’s TV networks about heatwaves this summer, only one mentioned the connection between climate change and extreme heat, according to a study published by Media Matters.” Local meteorologists are doing a better job. Yet it remains to be seen whether this reluctance will be swept away by the sheer number and intensity of weather events in coming years with the effects that scientists have been warning us about. Part of this reluctance can be traced to scientists themselves, who were cautious about linking any single episode of unusual weather to changes in climate without more data points collected over a longer timeframe. Recently, that has changed as scientists conduct what are called “attribution studies” that indicate the likelihood that climate change has increased the chances for severe weather. CBS News stated that “In the past decade . . . [scientists] have used observations, statistics and computer simulations to calculate if global warming increases the chances of the events.” Initially these attribution studies took years to complete, but are now available much sooner. Because of the polarized politics in the United States, major media outlets have shied away from controversial topics like climate change. But as more weather records are broken and being reported, more people have begun to accept the reality of global warming, even if some are still unwilling to concede that humans are largely to blame. Recent survey research suggests that the topic is less controversial than it once was. The majority of both Democrats and Republicans acknowledge the reality of global warming. Differences remain, however, based on party affiliation of those who propose solutions to the problem—Republicans are significantly more likely to support policies put forward by Republicans than from Democrats. 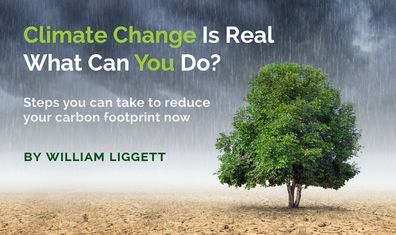 Although progress has been made in acknowledging the reality of climate change, the next step may require Republican or bi-partisan solutions to the problems we all face. Have you experienced episodes of extreme weather this year? Did you suspect that climate change has made such events more likely? Prev Post: We’ve Added Carbon to the Air—Can’t We Just Take It Out Again? Hi Bill. Thank you again for your insightful and spot on commentary on climate science and the reality of climate change that had been especially noticed this summer. I was in Michigan late June early July when I experienced a heat index of 109 degrees! Shocking for me since I grew up there and cannot remember if it ever got so hot and sticky before. My whole family is in Okinawa currently where the heat continues to be the story,. Typhoons are happening there as well like the hurricane season is soon upon us in the states. We all better stay ready, and do what we can to reduce, refuse, and recycle. Our planet needs us to be mindful, and change our thinking, now. Amanda, your comment reflects the concern many of us have about the future of our planet as it affects us and our families regardless where we live. I know you want to do what you can to address the situation. So do I. Thanks for sharing your thoughts on my blog.